You can keep adding your score after a game is finished. I think we can all agree it was a resounding success! Can't wait for the next anniversary party! Donfuy wrote: I think we can all agree it was a resounding success! Oh, I forgot about this. Ah well. Ten years will go by fast. Vyacheslav wrote: You can keep adding your score after a game is finished. 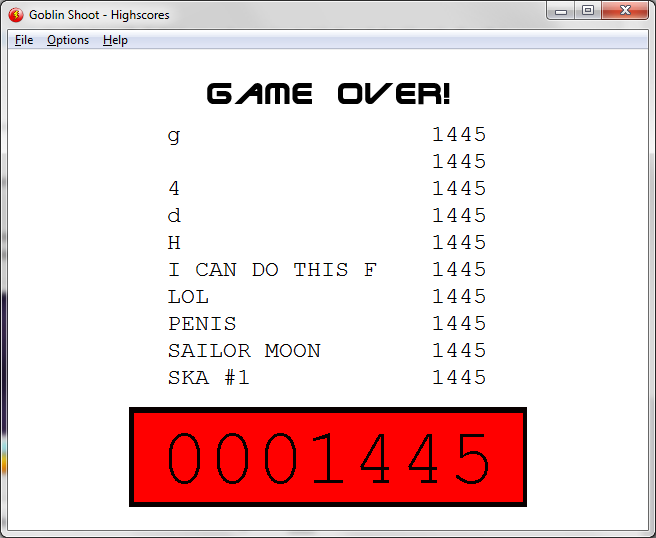 Oh yeah, I forgot to make it so your score reset after going back to the first level. Good spot. Wait... I see you're talking about something else... still working to fix it... having some issues..